Nourishing Traditions – we consider this to be the foundation of the dietary principles we teach and highly recommend it as a first step. Nourishing Broth by Sally Fallon Morell and Kaayla T. Daniel. See our review of the book. 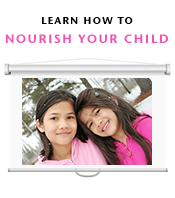 Nourished Kitchen – see our review of the book. The Nourishing Traditions of Baby & Child Care – see our review of the book. What books do you recommend we add to this list? Full Moon Feast by Jessica Prentiss is another terrific book. It awakened me to the rich heritage of European herbal medicine and cooking that I hadn’t really delved into. I am now growing herbs in my garden and hope to add many, many more. Real Food: What to Eat and Why, by Nina Planck, is another favorite. I’ve read it a couple of times, though not lately. It is really helpful for those just starting this journey or those a little further along needing encouragement and inspiration. Yes! Jeanmarie – I wholeheartedly support your recommendation of both of these books! Nourishing Traditions (Fallon, Enig) is more than a good book… it is a cookbook, nutritional manual, history and cultural text, encyclopedia, and more. My daughter picked it up at age 12 while looking for something to read, and devoured it. She has since re-read it three times, and now at age 20 is as much of a “foodie” as I am… largely because of the valuable information in this book. Incredible testimonial, Rosalyn. I will forward it to Sally Fallon Morell! I recommend The Crazy Makers by Carol Simontacchi. It’s an older book, but has some very useful data about how modern foods affect children’s health, and even includes some words about the wisdom of Dr. Price’s research! Well-written and informative, and I think would be incredibly motivating for any parents who may be on the fence about feeding their children real food. Deep Nutrition: Why Your Genes Need Traditional Food is a very interesting read, which I found to be empowering. It made me feel that I could give my second child a better chance at good health than my first, but also help my first be as healthy as he could be. Not to mention take control of my own health. I found The Mood Cure interesting as well. You can see the connection between nutrient deprivation and mood disorders. In Cure Tooth Decay you can see the connection between nutrient deprivation and tooth decay. After reading the above books (which all recommend eating traditional foods), it became pretty clear to me why I have always suffered from multiple ailments at once, and why so many of these ailments started clearing up when I switched to a traditional foods diet. I also love “Deep Nutrition – Why Your Genes Need Traditional Food” by Catherine Shanahan MD. Nina Planck’s Real Food for Mother and Baby is the book that got me first interested in switching to real/traditional foods. Any book by Joel Salatin. super nutrition for babies because I really believe in giving our babies a great start in life. And I want some new ideas for my grand babies. Thank you. That book already appears on our list. “The Big Fat Surprise” by Nina Teicholz! It’s a very well-researched book with a ton of great info about why fats belong in a healthy diet. ” The Lost Language of Plants: The Ecological Importance of Plant Medicines for Life on Earth,” by Stephen Harrod Buhner. published 2002. I have read parts of it and am fascinated by how the biome forms, how antibiotics are changing the earth’s biome, and therefore ours, and how we have attained information for using plants as medicine.